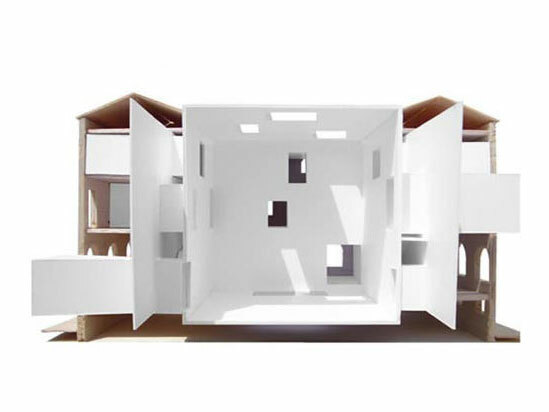 The construction frame discovers in its interior a new spatial being. Like a white glove, it welcomes another lecture of its novel interior. We now inhabit two spaces: the new white glove and the interior periphery of the old wall. From this place the old wall looks at itself and overlooks Salamanca with its new white glove.